Diggy Simmons real name is Daniel Dwayne Simmons III he was born March 21st 95. Joseph "Rev. Run" Simmons a famous rapper, is his father. He and his family starred in a reality T.V. show called Runs House. Diggy Simmons debut mixtape, The First Flight, was released in 2009. It was downloaded over 100,000 times from his website. 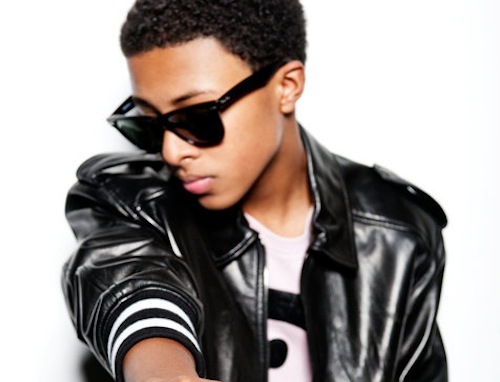 After releasing his mixtape Diggy was offered 5 different record deals but eventually chose Atlantic Records. Simmons' second mixtape was called Airborne in 2010. Simmons released his third mixtape in late 2010.It was a called "Past Presents Future". In Early 2001 Diggy was announced as the "Artists to Watch 2011". Simmons commented that his favorite rappers were Wu-Tang Clan, Kanye West, Lupe Fiasco, Jay-Z, Nas, and A Tribe Called Quest. Also some alternative musicians that he stated were some of his top favs included Arctic Monkeys, Maroon 5, Passion Pit. Simmons. Simmons has a shoe line of sneakers called Chivalrous Culture.